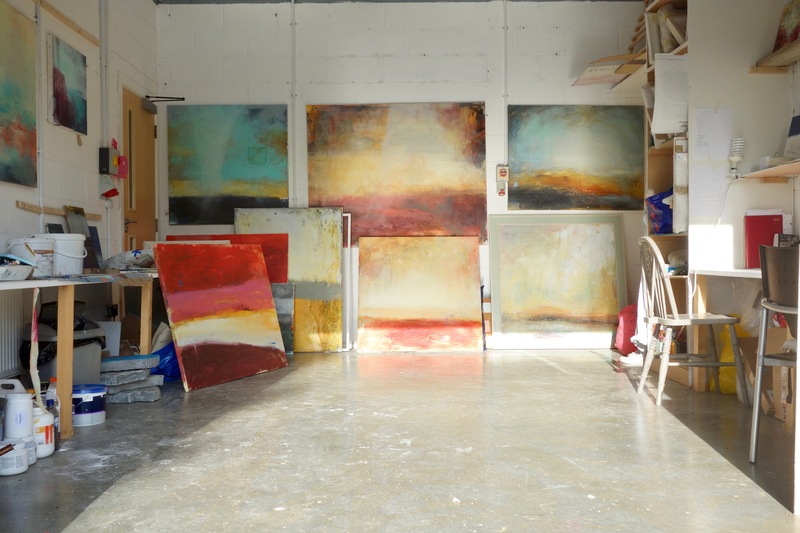 Georgie paints abstract land/seascapes from memories and sketches of places she’s been. She uses a variety of materials to build texture including polyfilla, mud and beeswax and paints with anything from her fingers to windscreen wipers. The natural world has always been her main inspiration and, having grown up in the Suffolk countryside, she feels very at home at the Farm – it’s rare to find a workspace in a rural oasis, surrounded by animals, in a big city! 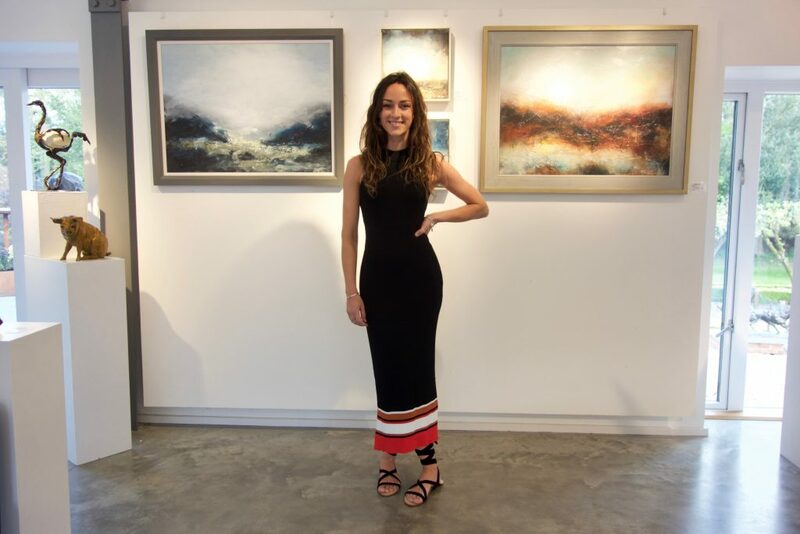 Georgie has exhibited internationally including at the Royal Academy Summer Exhibition and the Affordable Art Fest in Goa and sells work both to public collections and private clients. Her next solo exhibition is at Somerton House in Bath from 16-22nd June. There is often work available to buy directly from her studio so feel free to pop in anytime and have a look at what she’s up to. She is holding landscape and farm animal themed workshops for children and adults, and is on the First Thursdays art map along with our other rural artists. Her doors are always open (barring cold weather) and visitors are welcome to say hello!